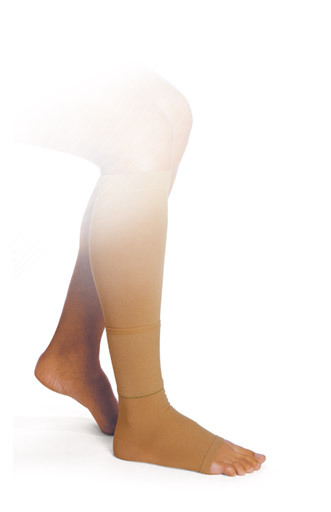 Ulcerkit® is a therapeutic compression stocking system indicated for leg ulcers, easy to use improves patients’ compliance. Gloria Ulcerkit® can also be used as a normal medical stocking when a certain effort for application is required. treatment of venous ulcer associated with other compression aids. Chronic venous insufficiency, post phlebitic, post ulcer, after sclerotherapy. Prevention of recidivism. Initial varices during pregnancy. treatment of venous ulcer when a higher ankle compression is required. Stronger action at the ankle and moderate at the calf. 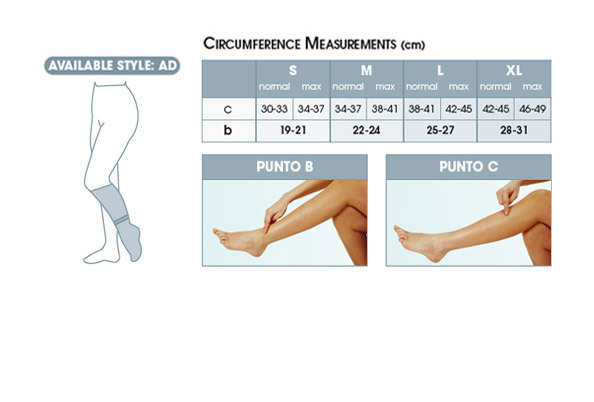 same as class 1 and 1-2, but with a highest compression on the leg, edema. Do not wear UlcerKit® in presence of severe arterial venous insufficiency. In moderate cases UlcerKit® can be used and in case of pain the stocking can be removed. UlcerKit® is available in Class 1 and 2. As the system is composed by two separated parts, in case of need of a higher compression near the ankle (where usually the ulcer is located), there is the possibility to combine the lower part in KKl. 2 with the upper part in KKl. 1.